New Irish Works presented at the Centre Culturel Irlandais during Paris Photo, in November 2016. New Irish Works is a triennial project run by PhotoIreland Foundation to represent and promote the growing diversity of contemporary photographic practices in Ireland. 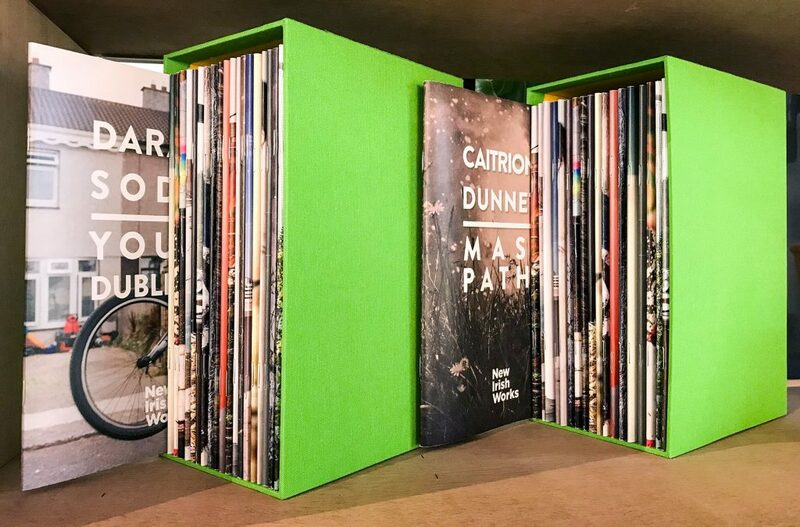 We want to enrich the Irish ecosystem with much needed new voices, new curatorial approaches, facilitate much deserved new opportunities, and invigorate the Irish photography scene. In its last iteration and reviewed by an international panel of 23 professionals, New Irish Works brought you a selection of 20 projects and 20 photographers representing the diverse range of practices coming from Ireland. New Irish Works 2016 was a year long project of 10 presentations and 20 publications that highlighted the great moment Irish Photography is experiencing. The artists selected were Ailbhe Ní Bhriain, Aisling McCoy, Caitriona Dunnett, Dara McGrath, Daragh Soden, David Thomas Smith, Eanna de Freine, Emer Gillespie, Enda Bowe, Jan McCullough, Jill Quigley, Kate Nolan, Mandy O’Neill, Matthew Thompson, Miriam O’Connor, Noel Bowler, Robert McCormack, Roseanne Lynch, Shane Lynam, and Yvette Monahan. Every month from July 2016 to July 2017, a special presentation was hosted at The Library Project for two of the selected artists at a time. The presentation included a display and a publication for each artist’s project. The first two artists presented, during PhotoIreland Festival 2016, were Daragh Soden and Mandy O’Neill. As part of the project, PhotoIreland Foundation brought New Irish Works abroad at key events like PhotoEspaña, with the support of the Embassy of Ireland in Madrid, and to Paris during Paris Photo, in collaboration and with the kind support of the Centre Culturel Irlandais and Culture Ireland. In 2013, New Irish Works presented a selection of 25 projects by photographers based in Ireland drawn from an open call. It is still today a solid representation of the growing diversity of practices on the island. In collaboration with several organisations, we programmed seven exhibitions in Limerick, Cork and Dublin, and launched a publication with the same name that has travelled wide and far. It all was part of PhotoIreland Festival 2013, a year we dedicated in full to explore and promote local produce. Loads of positive things have happened ever since thanks to the project, and we know the book has helped materialising more than one opportunity for the photographers selected. The New Irish Works project, and others like Greetings From Ireland, HALFTONE, and the whole The Library Project itself, they have been quite successful in their own right promoting local artists and enriching the Irish ecosystem with much needed new voices, new curatorial approaches, and facilitating much deserved new opportunities. 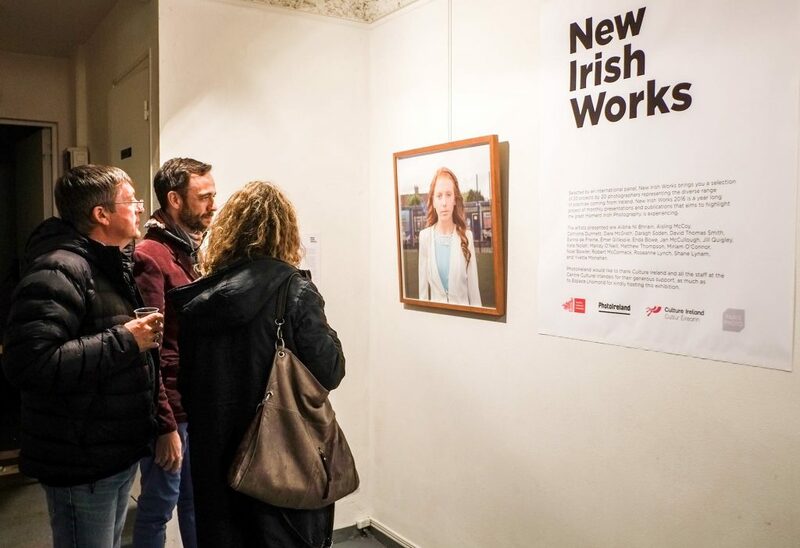 Indeed, all these, added to the hard work done by PhotoIreland Festival every year, they have invigorated a scene that oftentimes relied on migration as the route to success. But we know that more needs to be done to promote local photographers and to further excite the scene; it is necessary to programme more relevant photographic exhibitions in Ireland throughout the year, opening up to the wealth of local talent we know exists. Also, we need to generate more publication opportunities, and achieve more international exposure. So we are cranking up a notch, again. This year, New Irish Works takes a new dimension, advancing the project with a different format. In 2013, the jury was Karen McQuaid, curator at The Photographers Gallery, London; Michele Horrigan, artist and curator, Limerick; Ronan McCall, photographer and curator, Dublin; Pádraig Spillane and Pamela Condell, the curatorial team ‘Stag & Deer’, Cork; Moritz Neumüller and Ángel Luis González Fernández, from PhotoIreland Festival. The 25 artists selected in 2013 were Barry W. Hughes, Cait Fahey, Caroline Mc Nally, Claudi Nir, David Thomas Smith, Dorje De Burgh, Dragana Jurisic, Ethna O’Regan, Grainne Quinlan, Ieva Baltaduonyte, Kevin Griffin, Linda Brownlee, Mandy O Neill, Martin Cregg, Maurice Gunning, Miriam O’ Connor, Muireann Brady, Patrick Hogan, Paul Gaffney, Robert Ellis, Roseanne Lynch, Shane Lynam, Shannon Guerrico, Stefania Sapio, and Yvette Monahan. Ángel Luis González Fernández, Director of PhotoIreland.